Monorail construction clamps incorporating a height adjusting mechanism are speedily applied to existing steel girders, so as to expedite erection of a conveying system. They are provided with the facility to adjust the conveying girder in height where required. Their width and height adjusting capabilities make these versatile units an inexpensive, safe, and time saving proposition for the construction of a reliable permanent or temporary overhead conveying system. 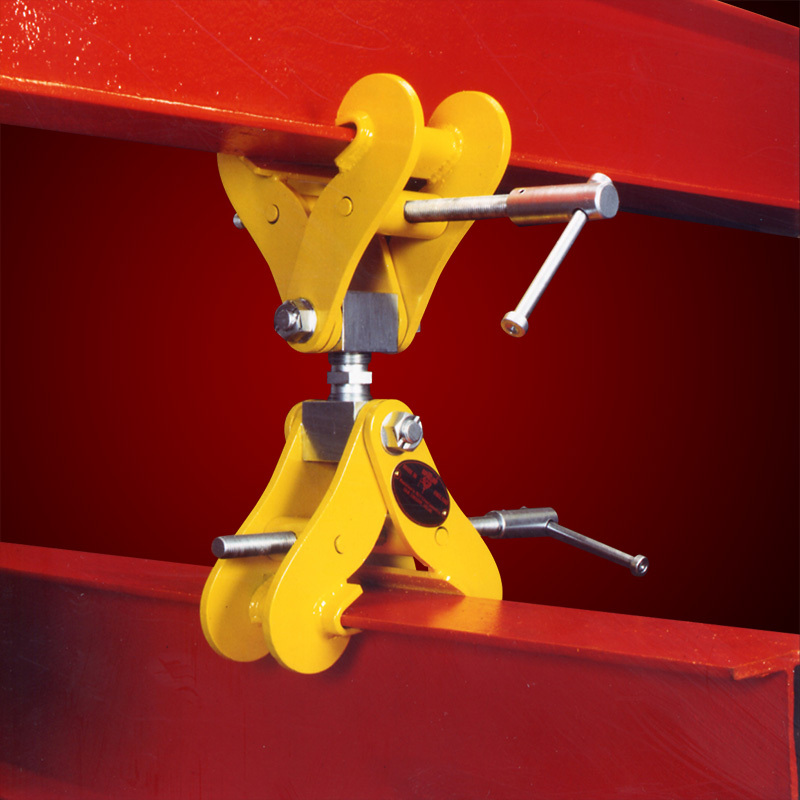 These monorail construction clamps are designed to enable speedy erection of permanent or temporary overhead conveying systems, where existing steel girders are of an adequately balanced horizontal level. Both clamps are fully adjustable by operating the left and right hand threaded adjusting bars incorporated into the unit. 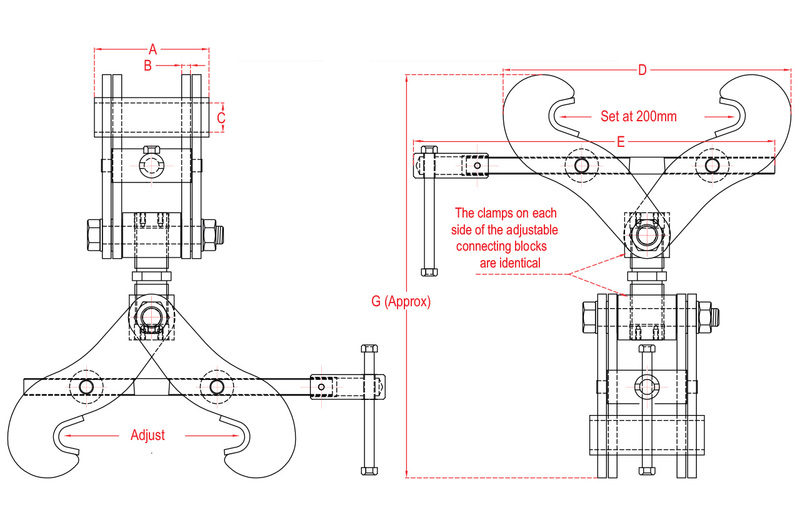 The designed-in stationary height stabiliser block ensures a rigid construction of the unit. 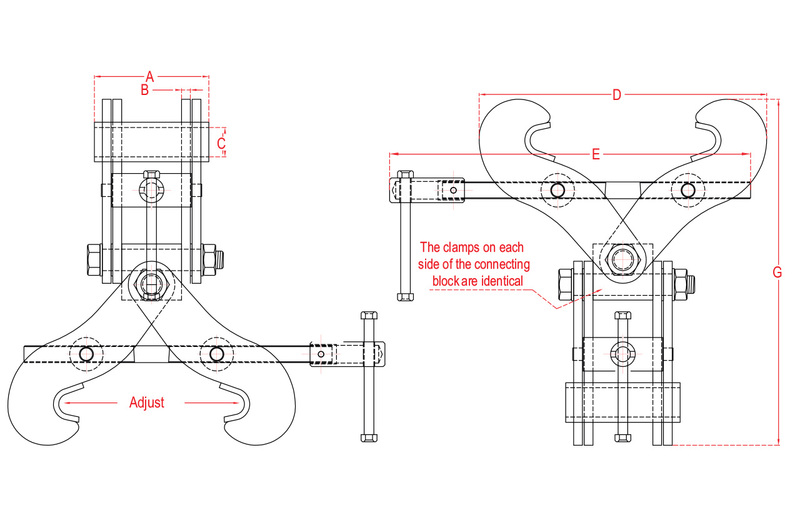 Additional tools or width adjusting components are not required to apply the unit onto existing steel girders.